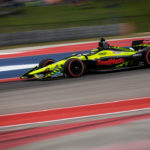 Sebastien Bourdais battled his way to an eighth-place finish in the DXC Technology 600 at Texas Motor Speedway in Ft. Worth, TX. The 39-year-old resident of St. Petersburg, FL qualified the No. 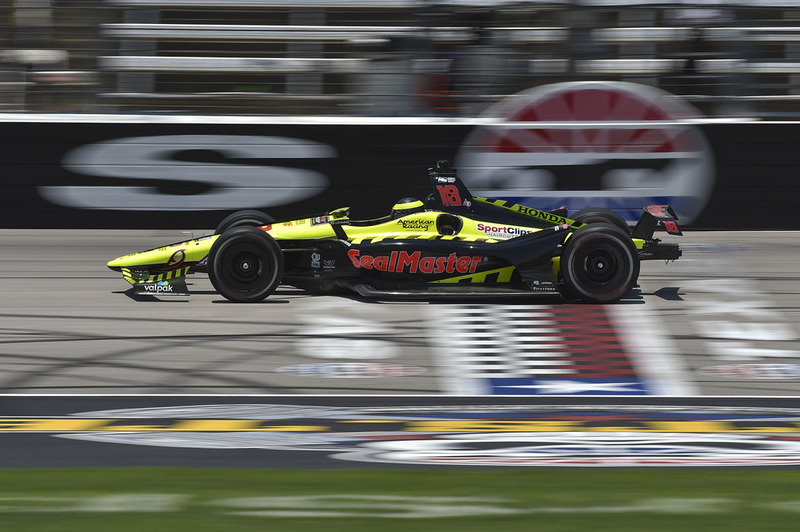 18 Team SealMaster – Dale Coyne Racing with Vasser-Sullivan entry a career best fifth at TMS. The race began at 7:45 p.m., however despite the night time start, it was extremely hot with an ambient temperature of 94 degrees and a track temp high of 132. This made for a challenging race as downforce and therefore grip were way down, and tire degradation was way up due to the cars constantly sliding on the track. This caused both the right front and rear tires to blister. 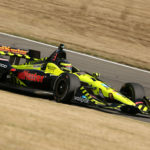 Bourdais dropped to ninth early in the race and pitted for the first time on lap 52, earlier than the leaders. By the time he stopped for the third time on lap 166, he had fought back to fourth. 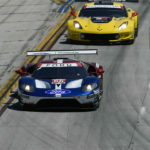 He rejoined the race in 12th place two laps down as a result of pitting under the green. 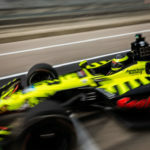 Had the race stayed green through the round of pit stops, Bourdais would have cycled back to the front on the lead lap. Unfortunately, a yellow came out six laps later allowing the leaders to pit, keeping Bourdais down two laps. 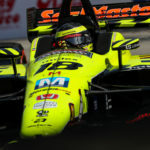 A combination of strategy moves, avoiding crashes and great driving by Bourdais got him back on the lead lap, however he just ran out of time.